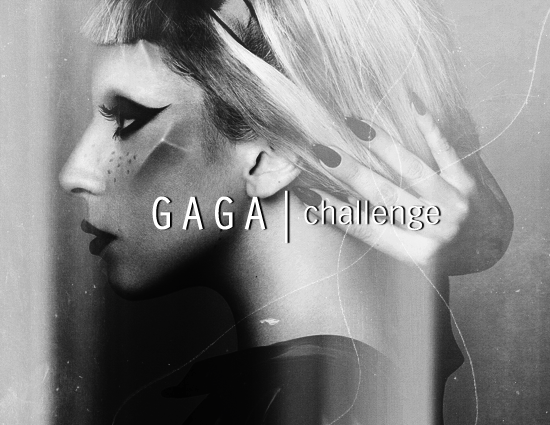 Lady Gaga Icon Challenge for anyone and everyone able to make graphics and are fans of Lady Gaga. This community was created out of the sheer love for Ms. Lady Gaga- her music is awesome, her style is different, and surely she is not a bore! So, if you too enjoy Lady Gaga and find that making graphics of this lovely person, than surely this is the place to be! Join today! No need to post to be added. Just join by clicking the join this community button above! But if a submission is made, make sure you are a part of the community. If not, you are disqualified. 1| Challenges will be posted on Fridays and entries are taken until the following Friday/Saturday. 2| Voting begins Saturday and ends Sunday/Monday night. 3| Awards are posted after the top three voted and any special category(ies) are announced. 4| Posting Access is denied to members. To submit your entry, you must comment with your icon to the 'Challenge' Post with your image and url. 5| Icon entries are screened for courtesy and privacy of the challengers. Staff can enter, but must have their entries unscreened as to make it fair since staff can see entries. 6| Stealing is not tolerated! SERIOUSLY, if you are found doing this I will ban you immediately! 7| Only one entry per person per challenge, unless otherwise noted. 8| Be respectful of other icon maker's work. This takes skill and we are always learning. 9| Have fun and show us what you got!